Learning how to play Roulette may seem daunting at first glance, but actually once you break down all the components to the game, it’s a very straightforward game. Most people can enjoy Roulette without even knowing the intricate rules of the game. I mean how hard can it be? Pick a number, colour, odd or even and spin the wheel. That really is all there is to it. However, if you want a deeper understanding, and if you want to make money playing strategically, then getting to know the rules and odds is necessary. Another good reason to learn the rules of Roulette and how to play properly aside from money, win rate and strategy is if you happen to visit a casino. You can rock up to any Roulette table knowing the rules and odds and look like a pro! We are going to run through the basics, then start to go into more detail in the latter stages of this “how to play Roulette guide”. You can then enjoy the game as many other have since Roulette was first documented back in the 17th century. If you are able to correctly predict the outcomes for where the roulette ball lands, then you are going to get paid based on a certain pay scale depending on exactly how precise your bet was.If you are unable to correctly predict the outcomes for where the ball lands on the roulette wheel, then you are simply not going to get paid and you will lose the bet that you placed before the spin was carried out. The set up of the roulette table is quite simple to grasp actually and that is perhaps what makes it so attractive. The table and the wheel are set up differently depending on the specific type of roulette that is being played, with European roulette having the numbers 1-36 and 0 present on the table and wheel whereas American roulette has the numbers 1-36, 0 and 00 present on the table. The numbers 1-36 are arranged in a grid of twelve rows and three columns, with the zero and double zero numbers making their way to the top of that grid as extraneous numbers in relation to it. One Number: This is a bet on a single number that is accomplished by placing chips on the actual number. The bet pays at odds of 35 to 1. Two Numbers: This is a bet on two numbers that is accomplished by placing chips on the line dividing two numbers. The bet pays at odds of 17 to 1. Three Numbers: This is a bet on a row of numbers that is accomplished by placing chips at the end of a row. The bet pays at odds of 11 to 1. Four Numbers: This is a bet on a quad of numbers that is accomplished by placing chips at the vertex where those four numbers intersect. It pays at odds of 8 to 1. Six Numbers: This is a bet on two rows that is accomplished by placing chips along the line that touches all six numbers. It pays at odds of 5 to 1. Twelve Numbers #1: This is a bet on a specific column that is accomplished by placing chips in the square corresponding to the desired column. It pays at odds of 2 to 1. Twelve Numbers #2: This is a bet on a specific dozen that is accomplished by placing chips in the square corresponding to the desired dozen. It pays at odds of 2 to 1. Eighteen Numbers #1: This is a bet on a specific red or black color that is accomplished by placing chips in the square corresponding to that color. It pays at odds of 1 to 1. Eighteen Numbers #2: A bet on the lower or upper sixteen numbers, with a chip placed on the corresponding square to signal intent. It pays at odds of 1 to 1. Eighteen Numbers #3: A bet on the odd or even nature of the numbers. It pays at odds of 1 to 1.Once the player has made the bet(s) that they want to make, the dealer will spin the wheel and if any of the bets that the player has made include the number that was spun, then the player wins those bets and loses the rest. If no bets include the number, then the player loses all of their bets. Searching through an online casino or rocking up at a live casino for Roulette tables is easy. We all know what roulette is. Saying that, you may be a little thrown back when you see that there are multiple variations of Roulette. On the American style Roulette wheels, there is a ‘0’ and a ‘00’. This ‘00’ means that instead of the well-known 0-36 numbers, there are in fact 00-0-36. This additional ‘00’ considerably increases the house edge over the players. On the European style Roulette wheels, there is no ‘00’. Therefore, there are 0-36 numbers. This means 37 numbers are available to wager on. Be aware that when you play on American Roulette tables, that extra ’00’ will give the house double the edge compared to a European Roulette table with the ‘0’. American Roulette House Edge: 5.26%. If you have not seen a Roulette wheel in action, then it is quite simple. There is a table with numbers, colours and sections to make bets, and this is where people place their chips. Each chip has a value and each area on the board has a pay-out value. For example, if you place 1 chip on red, and the wheel shows red, you win 2 chips back giving you a profit of 1 chip. You need to place your bets before the ball is on the wheel – although some leeway is usually given to add to excitement. To decide the number, the croupier, who is the person that takes bets will spin the wheel. Next, a white ball is then placed on the wheel and the dealer will say “all bets are off”. The ball will spin on the wheel until eventually it slows down and slots into one of the numbers on the wheel. FYI: The croupier can also be referred to as a dealer in some games. Although not dealing cards, and thus croupier seems more apt, dealer is still a commonly used term. Firstly, the croupier will remove all chips that resulted in a lost bet. If your bet was successful your chips will remain on the table, and the croupier will pay your bets out accordingly. When you play roulette online or on a virtual table, then obviously there is no croupier unless you choose to play at a LIVE dealer suit that is. For virtual Roulette tables, everything is done at high speed. After every spin, the last number to have landed on the wheel is recorded on a display. In land-based casinos this is displayed on an electronic LED system or digital screen. Players use this a lot to determine what to bet on next. For instance, if you have not seen the ‘0’ land for a while, you may contemplate including it in your next line of betting. Maybe red numbers have appeared more than black numbers and you see this on the history board. You could then match this up with odds and evens and bet accordingly. In the next section, we will discuss the types of bets there are available on a Roulette table. A roulette table has 2 parts to it. There is the outside betting area and the inside betting area. Outside bets are all the bets that can made indirectly. This means you will not be betting on numbers so to speak. You will be paid 1 to 1. That means for every 1 chip you bet, you will get another 1 chip back plus the chip you bet is returned. That means you receive 2 chips in return. 1 of those chips was your original bet and the other chip is your profit. You will be paid 1 to 2. That means for every 1 chip you bet, you will get another 2 chips back plus the chip you bet is returned. If you bet 2 chips, then you will receive 6 chips back. 2 of these chips will have been your original bet, so you make a profit of 4 chips. You can bet on red or black. If you look at a Roulette wheel, the numbers are evenly split into black and red. If you bet on red, and the number the ball lands on happens to be a red coloured slot on the wheel, then you win the bet. You can bet on the next number to land on the wheel being an odd number or an even number. Another betting option that also pays 1 to 1 odds, is the high low option. You can bet on 1-18 as the low bet or 19-36 as the high bet. Column bets spread the length of the Roulette board in 3 rows. Each row or column contains 12 numbers that run parallel from the top to the bottom of the Roulette board. Dozen, much like column bets, have 12 numbers. However, these are chunks of numbers clumped together that run the width of the board. They are shown on the Roulette board as 1st of 12, 2nd of 12 and 3rd of 12. In the next part of this “Roulette Guide” we will discuss the Inside betting options. There are a lot more options, higher odds, and more bets to memorise in comparison to outside bets. Now you understand the outside of the Roulette board and how the bets work there, it is time to look at inside bets. Effectively, these bets are wagers made on the inside portion of the Roulette board directly on the numbers. All the odds we have described here are for the European Roulette variation of Roulette. Also, we have included the actual odds of landing each bet so you can get a feel for the house edge in each instance. Bet on 1 number: If the number comes in, then you will be paid 35-1 on your bet. This is the hardest bet to land on the board and it is also the highest paying bet if you win. You can bet on any number from 0-36 to make a straight bet. Bet on 2 numbers: By placing the chip on a line between 2 numbers, you are making a split bet. If either of these 2 numbers land on the wheel, you are paid out. Bet on 0, 1, 2 OR 0, 2, 3: This is betting on the 3 numbers adjacent to the 0. Many players use this bet to spread the risk of their bets; especially when the 0 has not rolled in for a while. Bet on 3 numbers: For a Street Bet, you need to place the chip on the left side of the Roulette board. You place it on the line and this covers 3 numbers across the width of the boar; known as a Street in Roulette jargon. Bet on 4 numbers: You can place a bet on any 4 numbers that are joined together. Place the chip on the + that connects the 4 numbers for the Corner Bet to be declared. Some people call this the intersection that connect the 4 numbers. Bet on 6 numbers: This is similar to a street bet except rather than betting on 1 street, you are betting on streets simultaneously making it a 6 number bet. The Ⱶ that connect the 2 rows together allowing for 6 numbers to be wagered. As there is an additional “00” on the American style Roulette wheel and board, there are some more bets we can cover. Bet on 5 numbers: Here you wager the 0, 00, 1, 2, 3 and this pays 6 to 1 odds. 00 and 0 Row Bet: You can wager the row of 0 and 00 and this pays 17 to 1 odds. In the next section, we will cover how to calculate your odds now that you understand more about how to play Roulette, outside betting options as well as inside betting options available to you. When you are placing bets on the Roulette table, it can be for 2 main reasons. You really don’t care what happens, or you are betting with a strategy in mind. Understanding your odds is essential. I have seen people bet £10 on Red and £5 on Black. That’s a £15 bet. If Red comes in, you make a £5 profit. If black comes in, you make a £5 loss. Why not just bet £5 on red or black? You still make a £5 loss or £5 profit. Always remember that the house will have the edge. Your aim is to get lucky using odds and variation. Much like betting on odds or even. Probability says that odds and evens over the course of a session will be 50/50. If you have ever played Roulette, or flipped a coin with heads and tails having the equal odds to red or black, you will know that probability is defied. This defiance is from variation. Variation will swing the odds of probability; therefore, you will have to expect upswings in Roulette and downswings. This is the nature of the game. 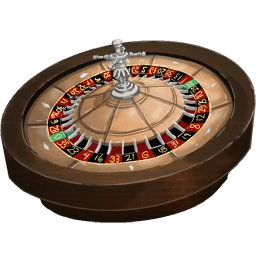 There are some Roulette tables that the house gives some of the edge it has back to the players, the game is called French Roulette, and is played same way as European Roulette but the house edge is reduced . In fact, the house edge is reduced by 1.35%. These additional rules surprisingly don’t seem to apply to American Roulette. They also only apply to even odds (1 to 1) outside bets. If the ball lands on the ‘0’ then half the players wager is imprisoned. It stays on the table for the next spin giving the player a chance to win back their original bet. If the ball lands on the ‘0’ then half of the player’s bet is returned immediately. Now let’s move on to STEP 2 and start to get on the Roulette tables either in land-based casinos, in a LIVE dealer suite or in an online casino. Firstly, you should always play on European Roulette tables if you can just because the house edge is much less. There have been some people that have been able to gain an advantage to their game just by watching how the croupier releases the ball or even if the table has a slight tilt. This is not something that is common anymore these days because casinos are great at spotting it. You can also just improve the way you play by watching how others play Roulette. If you notice someone that seems to really know what he/she is doing, then you can take notes. Here are a few tips when it comes to managing your chips when you play Roulette. When you play at LIVE Dealer suits or on a virtual Roulette table, you will never have to handle your own chips. On the contrary, in a land-based casino, you will be handling all your own chips. Online games are therefore much quicker and the time between each spin is reduced because of the auto chip management system built into the game. There is a very good reason for this. If you used the chips that the casino provides, then there would be some confusion as to whose bet belongs to whom. This means each player has different coloured or patterned chips with the value of each chip designated already. When you have finished, you will need to cash in your Roulette chips in order to get real casino chips back. This is because Roulette chips cannot be changed into cash. When you sit down at a Roulette table, you will need to swap your casino chips for Roulette chips. Your croupier will ask which denominations you require. You can decide this quite easily depending on the table limits. If you are on a £5 min bet table for outside and inside bets, then £5, £10, £20 chips will be fine. That is if you plan to make some £20 bets.